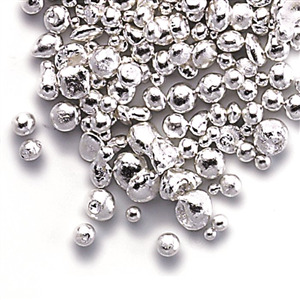 The copper used in alloying our sterling silver is 99.9% pure and oxygen-free. Each batch of casting grain is assayed to ensure a consistent 92.5% (minimum) product. Silver casting grain is sold by the Gram. • Application: For virtually any casting method. • Composition: The purity of the silver is a nominal 99.99%+ fine.